Rick’s latest food adventure took him to the Eastern Mediterranean. He travelled through the mythical heart of Greece to the Black Sea via the flavours of Croatia and oriental influences of Turkish food. His new book holds over 100 recipes from his travels with stunning photography throughout. 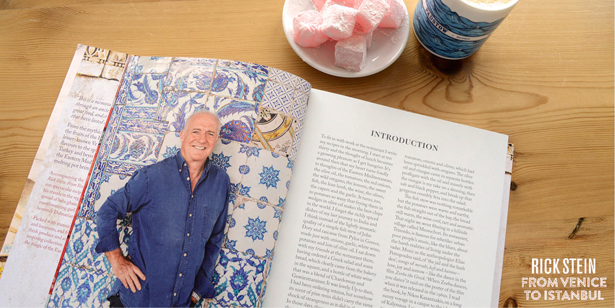 You can buy a copy of Rick Stein’s new book on our online shop here. Catch Rick’s new TV series every Friday at 9:30pm on BBC2 from 7th August. We’ll be live tweeting throughout the seven part series, so make sure you join in the conversation with us @TheSeafood. Enjoy some of Rick’s newly found Eastern Mediterranean dishes in our restaurants and at Stein’s Deli.